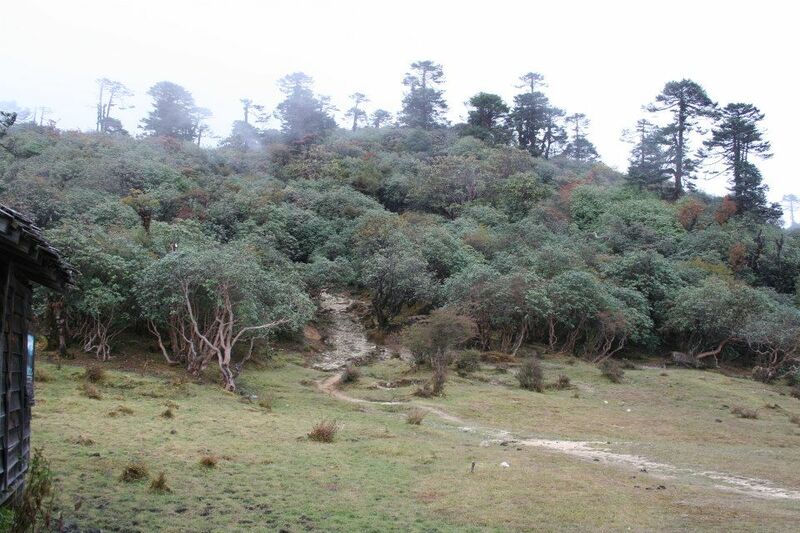 from here you can see beautiful views of Mt.Pandim, Mt.Thenchinkhang, Mt.Jhopuno. 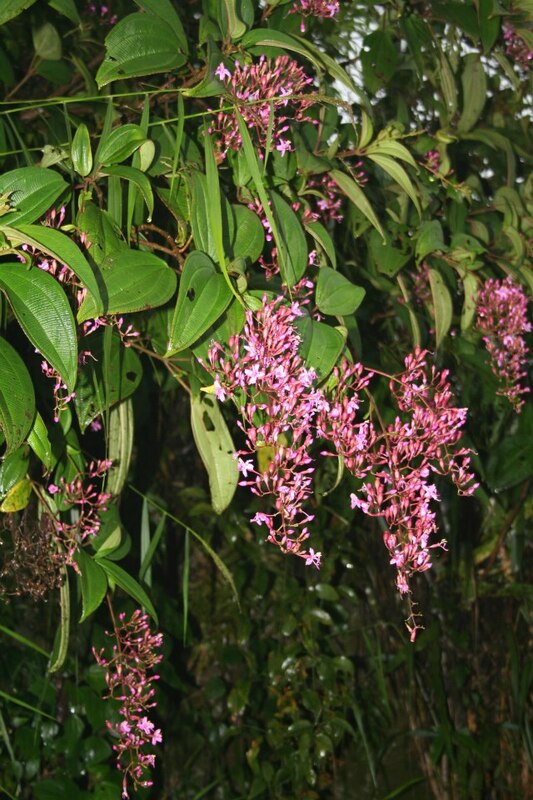 Phedang is surrounded by a large forest of rh thomsonii with its lovely bell-shaped red blooms, after lunch the first hour is a hard trek up, after that it is mostly downhill passing through endless forests of rhododendron fulgens with its brown peeling bark and red blooms, as you get further towards Dzongri(3950),Dzongri has only single Trekkers hut and two forest huts. 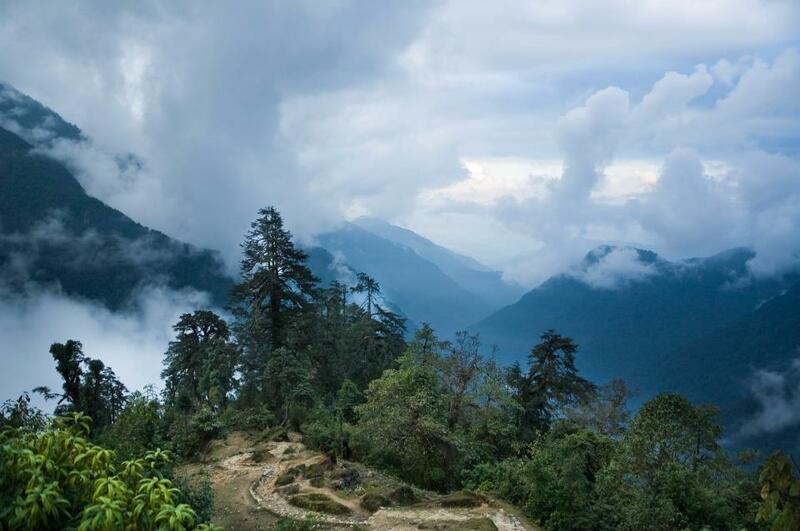 From the ridge above the site you can get panaromic views of Mt.Khanchendzonga, Mt.Kabru and mt pandim. 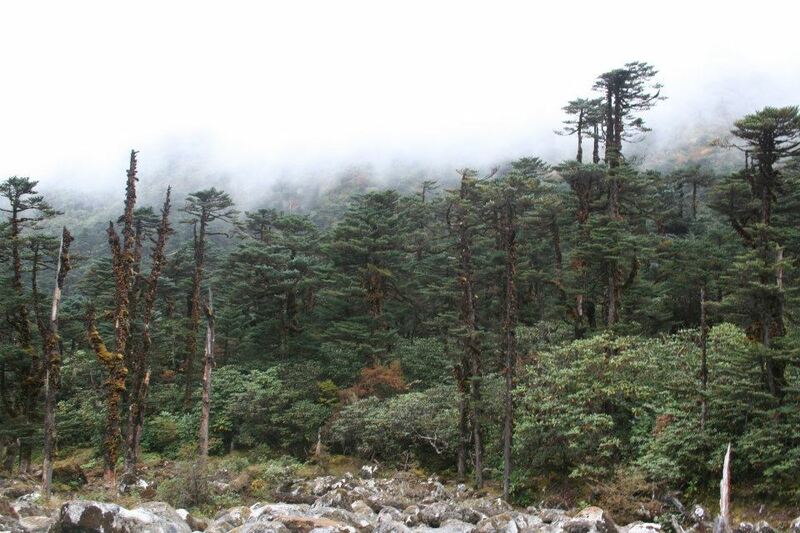 you will see many alpine plants like Juniperus recurva, rhododendrons anthopogon and setosum. 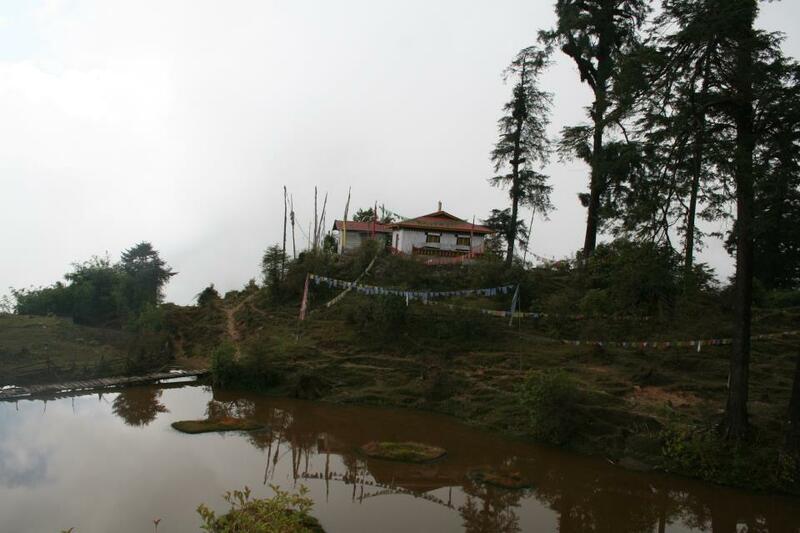 Rathon, Mt.Koktan, Mt.Pandim, Mt.Jhoponu, Mt.Thenchinkhang and Mt.Narsing. 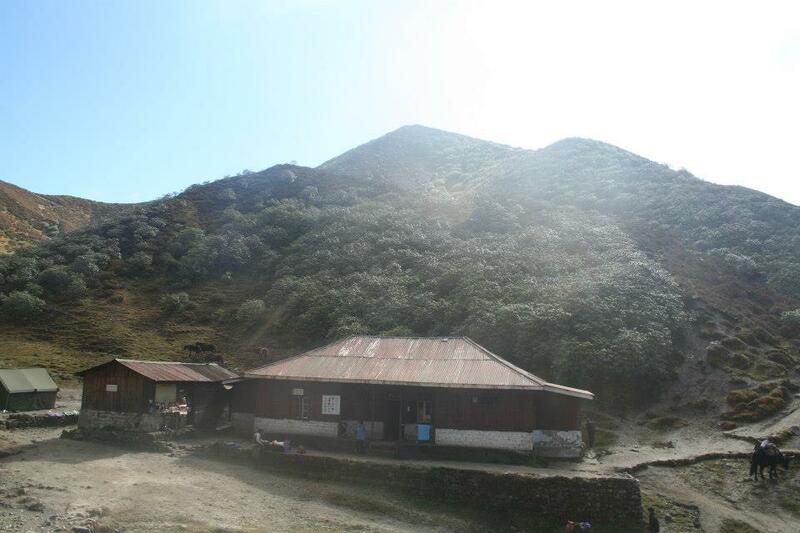 overnight stay in trekkers hut/tents. 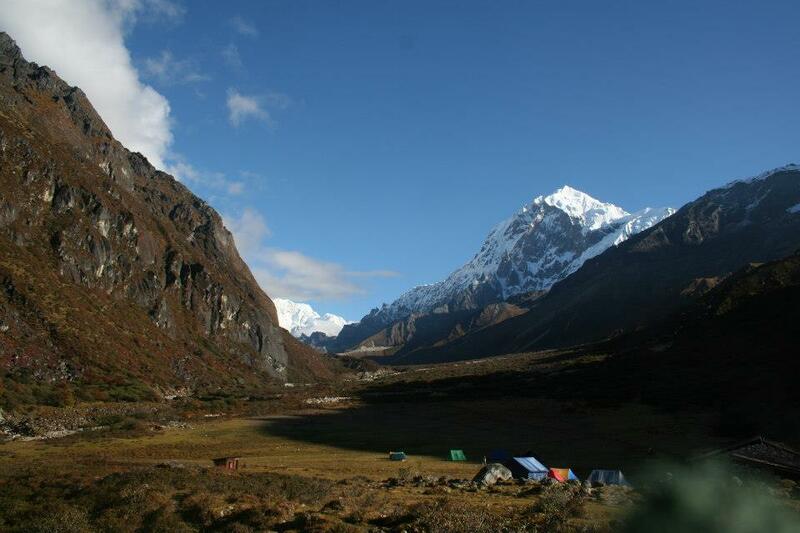 After lunch we will head up the valley over the raging prek chu river past glacial moraines and through battered forests of Abies, Sorbus and rhododendrons, after a short while you will be walking over alpine pastures with amazing views of the entire Khangchendzonga mountain range, arrive at Thangsing overnight stay in trekkers hut/tents. 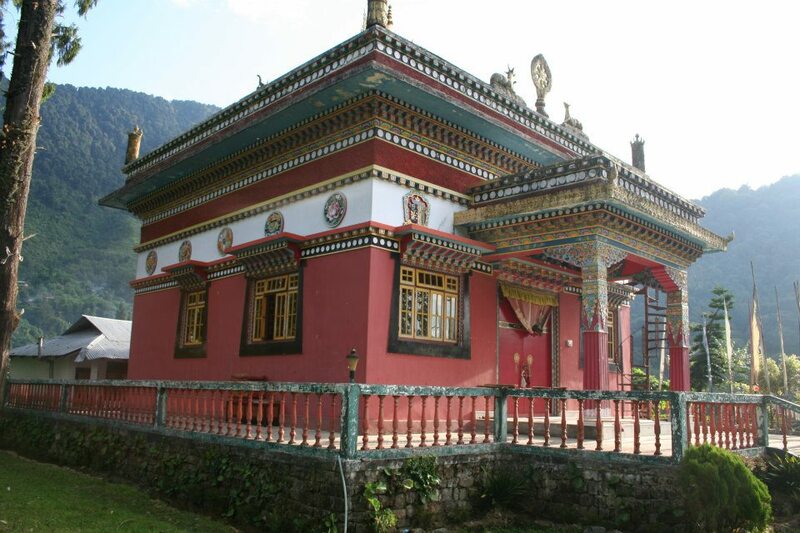 Day 8 . after an early start we will start the climb to Goechala pass it begins with a steep gradiant eastwards for about half an hour and then later a steep ascent starts through the sacred Samiti Lake. 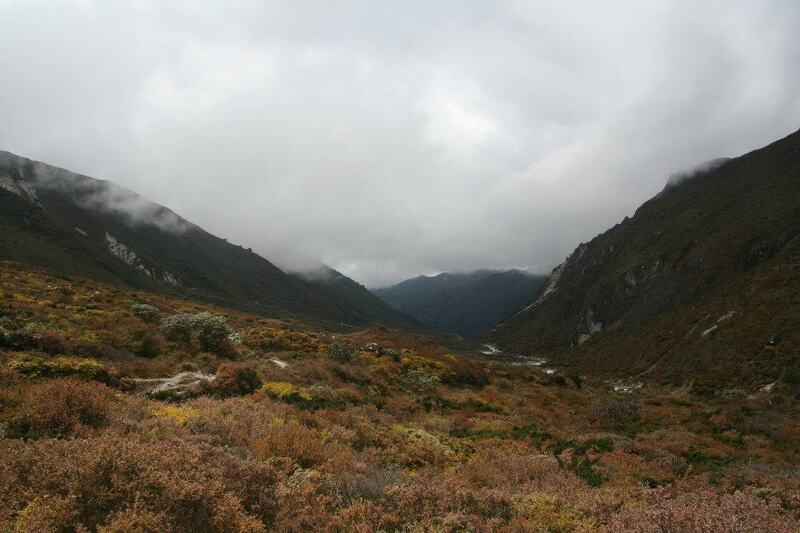 The trail follows the glacial moraines north east and then drops to a dry lake at Zemathang.A tough scramble over rocks and boulders brings you to the top of the Pass. The Pass is formed due to the depression between Mt. Pandim and the Kabru spurs.It overlooks the Talung Valley and commands a very impressive view of the south faces of Mt.Khanchendzonga just in front of the Pass.The view from here is like one can say “It is Paradise”. 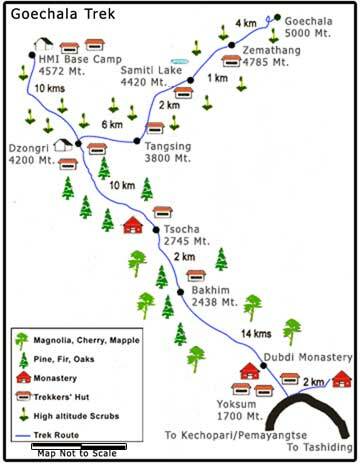 we will then head back to the base camp for breakfast, after breakfast we will make our way back down to the prek chu river following the path we took up, we will make camp at the prek chu valley and stay over night in trekkers hut/tents. Day 12. early morning pick-up to be taken to see the sun rise from tiger hill, this is a scared moment when you will see the Mount Khangchendzonga light up with the new rays of the morning sun, after this we will take you to visit the famous Ghoom monastery, taken back to hotel for breakfast, after breakfast you will spend the day sightseeing, visiting the Gurkha memorial, darjelling toy railway, Darjelling zoo, the peace pagoda and many many more sights, evening free to explore, overnight stay in hotel on a b&b basis. Day 13. after breakfast you will be picked up and taken to Bagdogra airport, service ends.